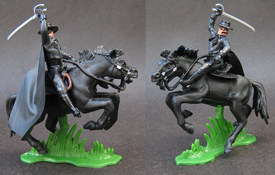 Exclusive figure of El Zorro mounted in Tornado, . 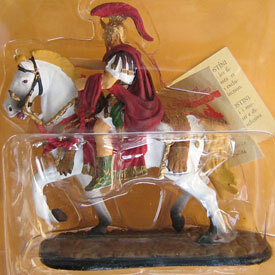 Made for DSG modifying a mexican on horseback figure, IS NOT a custom figure, is a factory modification. DSG Lone Ranger, a cowboy figure repainted by DSG. 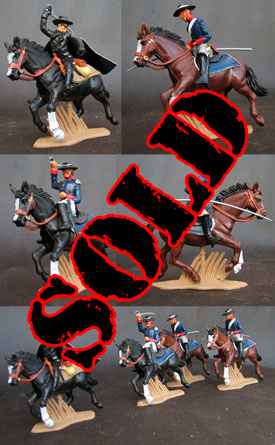 Exclusive figures of El Zorro mounted in his horse Tornado, and 4 lancers in persecution. All made from DSG figures, painted by DSG specially for redskorpio. 3 German Troops flagbearers, modification from Afrika Korps figure. 1 US flagbearer, modification from US Army figure, painted by DSG specially for redskorpio. 6 figures in 6 poses. Made in Argentina by DSG, from olds molds used originally in the seventies. 4 of the legionnaires are, may be, timpo copies, the other 2 are originals. 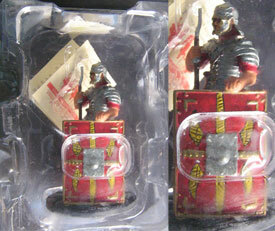 Diecast metal figure manufactured by Andreas Miniature for the Planeta de Agostini colection "Soldados de plomo de la antigua Roma" published in Spain. 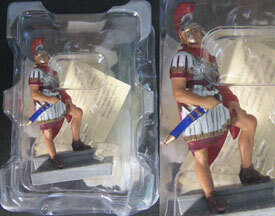 Diecast figure manufactured by Andreas Miniature for the Planeta de Agostini colection "Soldados de plomo de la antigua Roma" published in Spain. 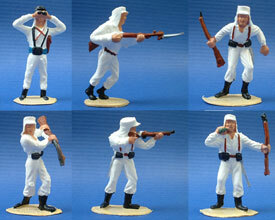 Diecast metal figures in 60 mm manufactured by Blue Box for his colection Elite Commands, representing the Gral. 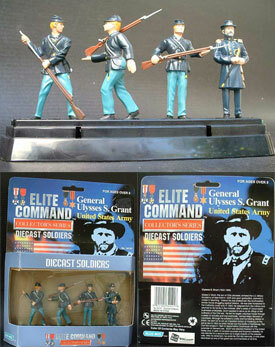 Ulysses Grant and 3 union soldiers.